I found an old flash drive with some RPG material I have done over the years and have been having fun trawling through it. 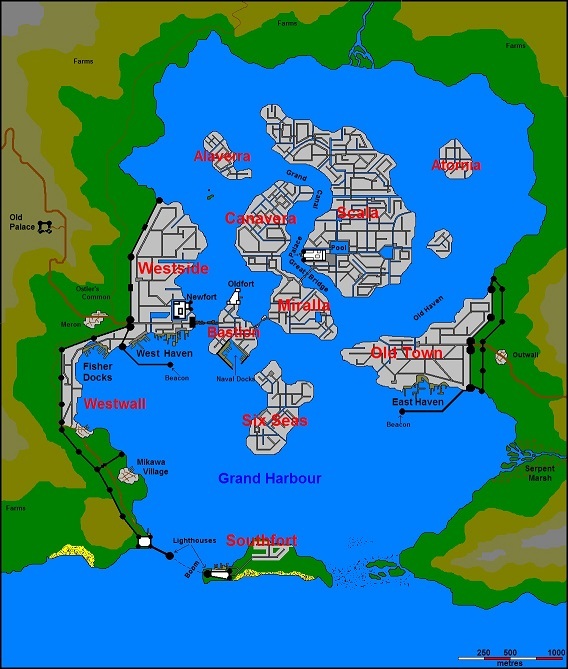 This city was the location of many adventures I ran using Hero System and Harnmaster. 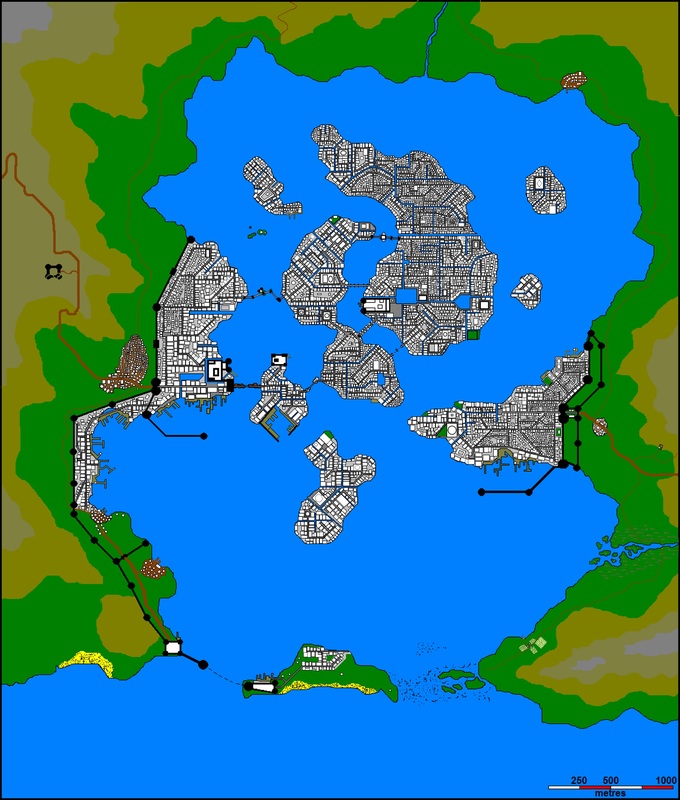 I had hoped I would find the base map that I worked on – I remember I originally saved it as a BMP file in MS Paint but couldn’t find the full sized version – just this small copy. Will have a go at redoing it next week if I cannot find the original. Crossroads is a city of canals and bridges. My mate Mark (Markdoc on the Hero Games forums) did a neat picture of a big bridge covered in houses and towers for a city in his fabulous Gothick Empires setting. 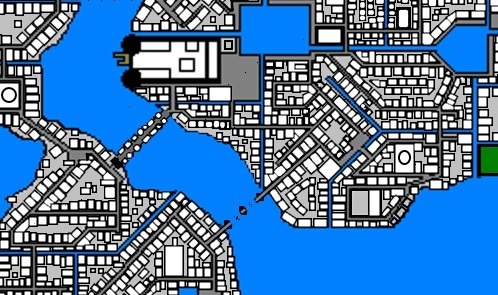 I stole it and plonked a close copy of it in the middle of my own version of Venice as The Great Bridge. I just have to find it – I know I have it saved somewhere. 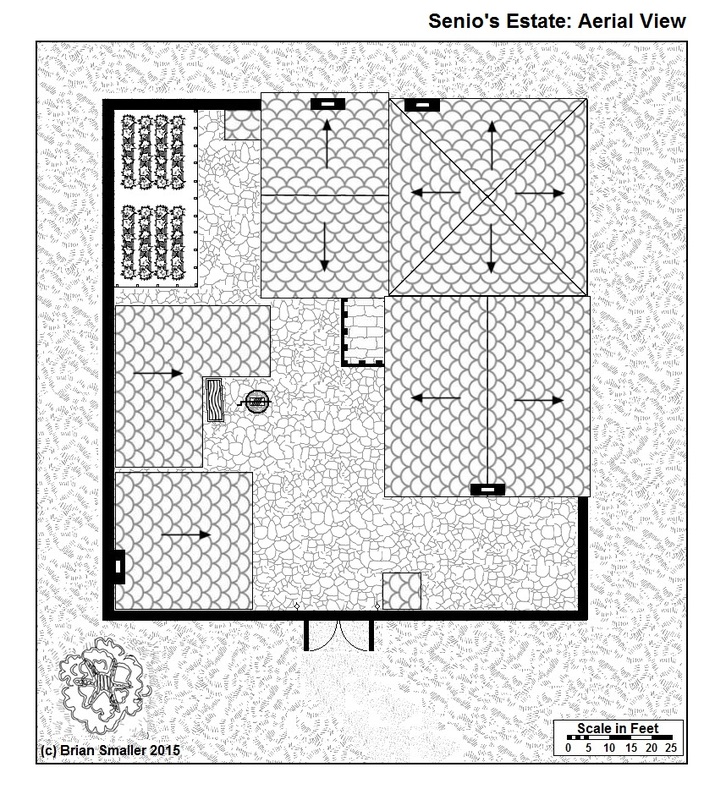 Senio’s Estate: A FRPG resource. 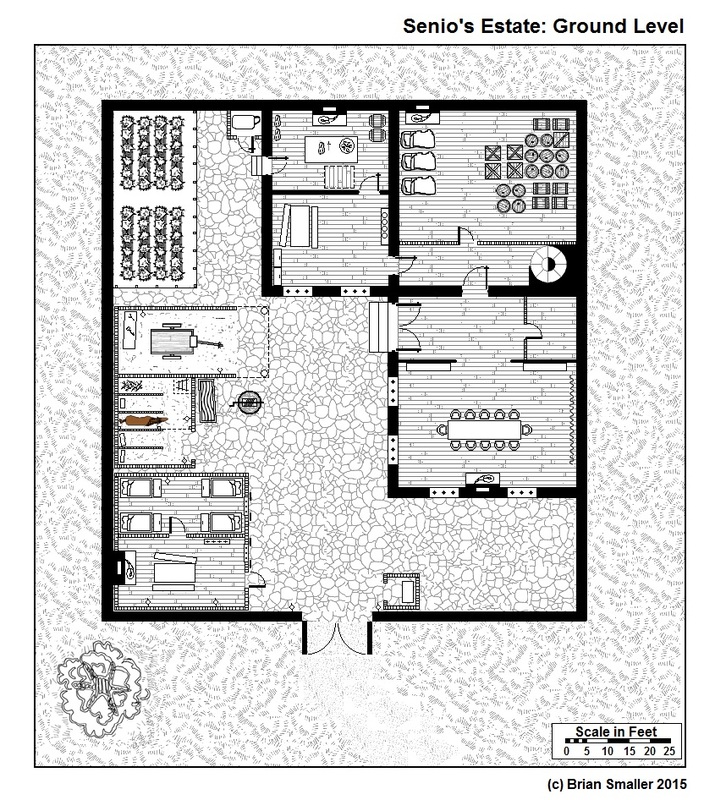 A map of a walled estate for your Fantasy Roleplaying games. In my FRPG this was the home of Senio, a necromancer. I started drawing this years ago and lost it. I found an old flash drive and found a whole pile of role-playing resources for a short lived game I ran in 2011. So I have decided to tidy the map up and post it – who knows – someone may get some use out of it. This building could be used in a town or as a country estate. The main building has a tower that rises four stories. 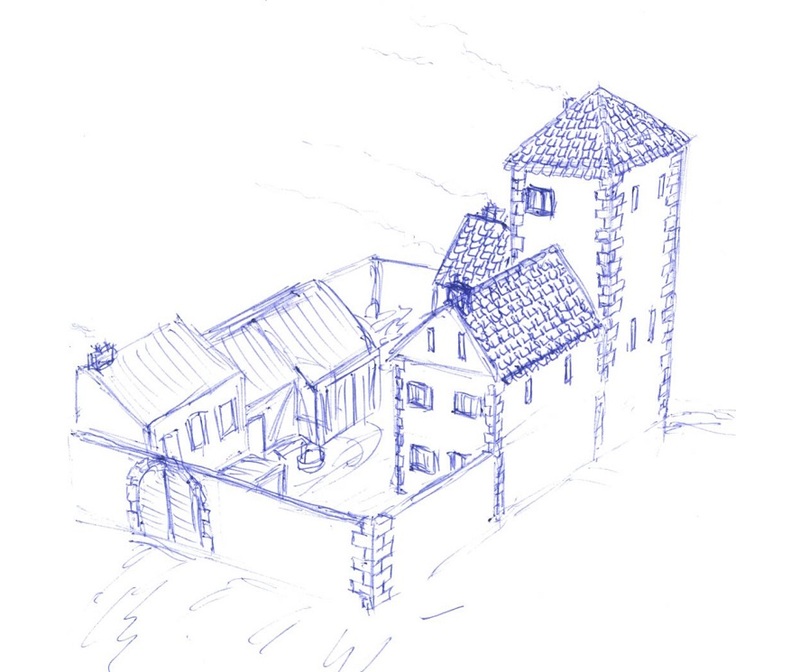 There is a guard barracks (by the gate), stables and a small house garden. To the right of the gate is a small entry box for the gatekeeper. A trapdoor from the kitchen leads to the storage cellar. 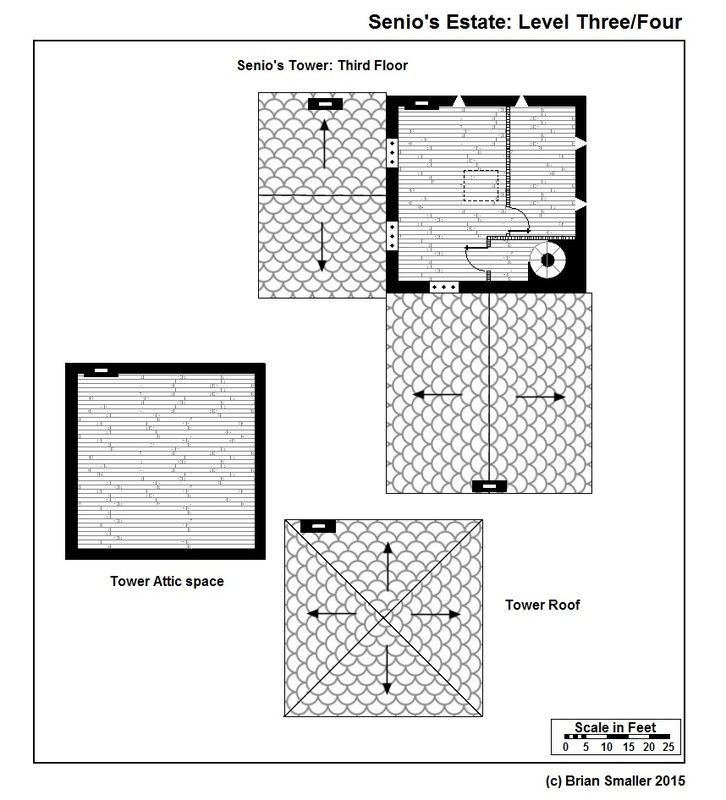 The basement level of the tower contains cells, an ‘inquiry area’, storage and a small crypt. There is a secret room in the south wall. 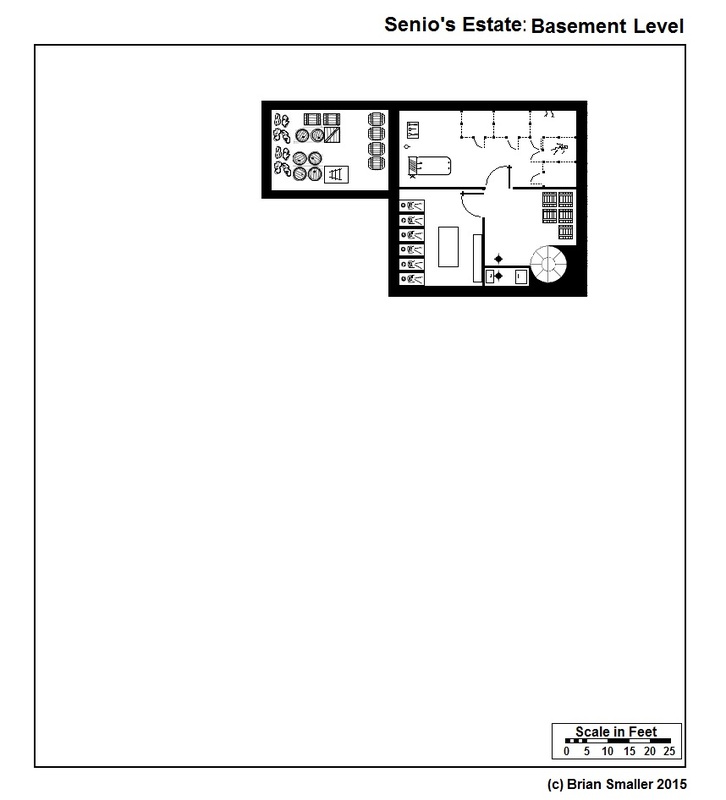 To the left of the gates is a guard room and the bunkroom for up to four guards. A small sentry box stands to the right of the gate. In the paved courtyard there is a well and a water trough. A shed containing a wagon and a four stall stable are opposite the main house. Behind the stables is a small kitchen garden. The outdoor privy sits against the back wall. Double doors lead into the main house/tower. 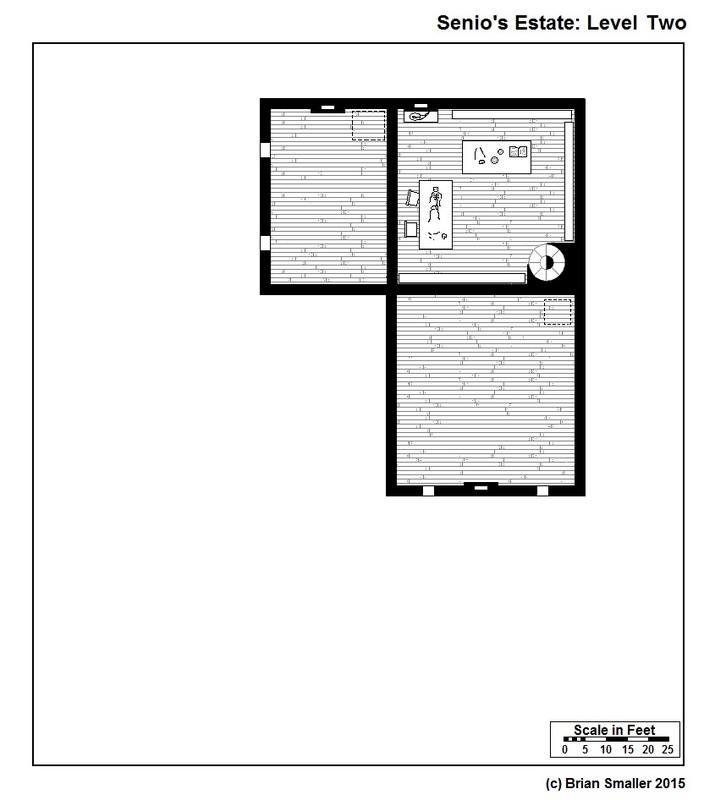 This level contains the kitchen, servants sleeping area and storage, a cloakroom and the main dining room. 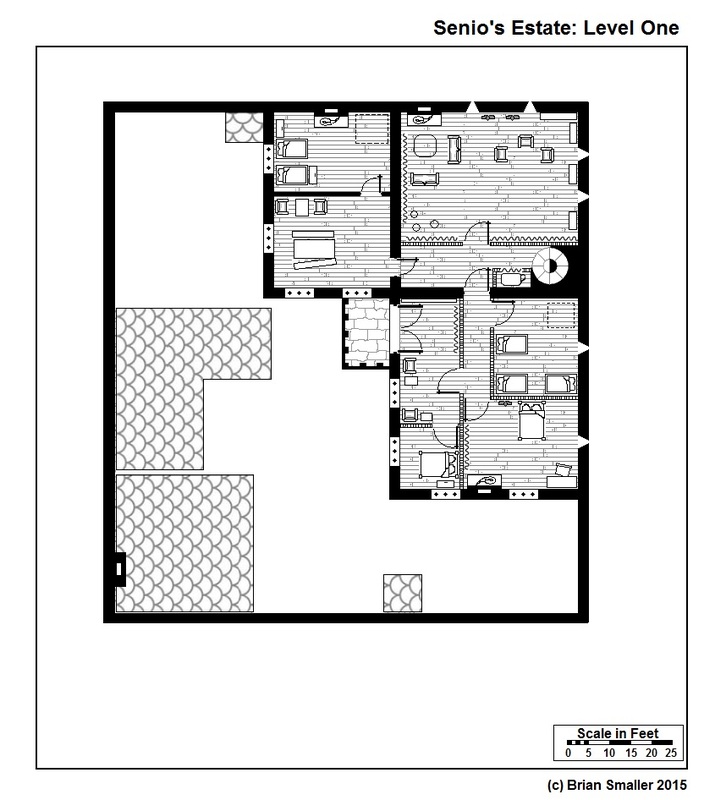 This level contains bedrooms, studies and lounges. A set of double doors open onto a small balcony (above the main entrance). Lots of elaborate hangings and comfortable beds. Who said a necromancer can’t be a good host? The Tower contains Senio’s main workspace and laboratory. The two other spaces are attics accessed by trapdoors from the rooms below them. The third level contains two rooms currently unused. I am sure that you can find a use for them. The fourth floor is an attic space accessed by trapdoor from level three. I have always enjoyed map making. I have decided to get back to work on my fantasy world that has been kicking around in one form or another – mostly on paper – for decades. I am sure every GM has one or two of these tucked away in a folder. 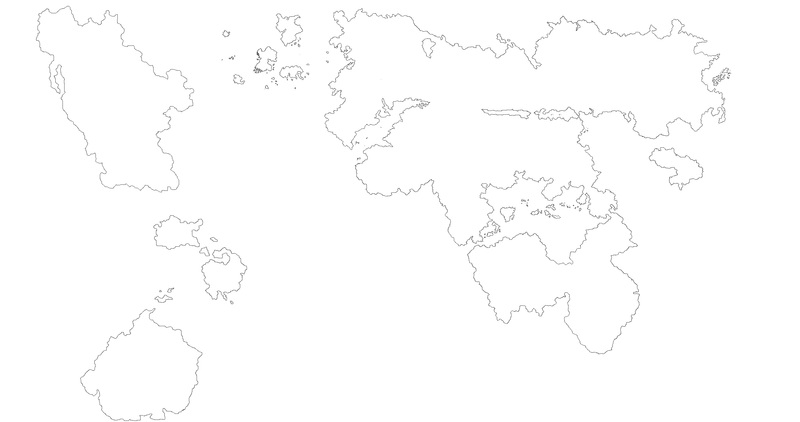 First off the blank that I will use for all subsequent maps. 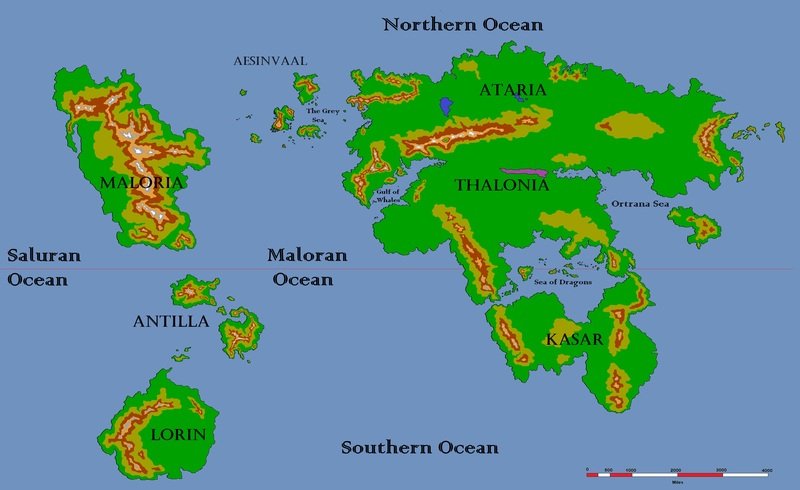 Maps drawn with MS-Paint and PAINT.net. A map showing basic topography and labels.